"…the thoroughness of the text has to be admired. It is an excellent starting point for students of palliative care which makes an important contribution to any library." "… covers a plethora of topics ranging from the development of palliative medicine in different countries to clinical topics and bioethics … an excellent palliative medicine resource." 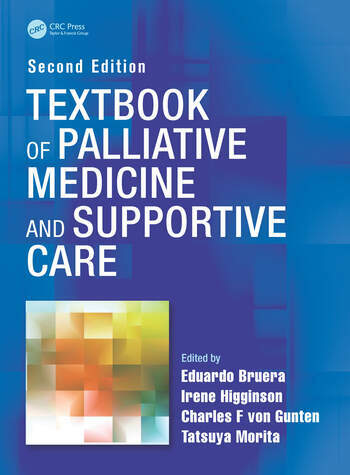 The second edition of the Textbook of Palliative Medicine and Supportive Care builds upon the strengths of the previous edition, providing an alternative approach to this ever-growing specialty. In the absence of an international curriculum for the study of palliative medicine, this textbook continues to provide the essential guidance for those either embarking upon a career in palliative medicine or already established in the field. 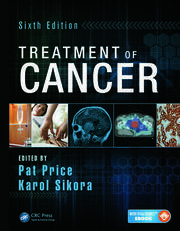 With additional chapters covering all the different aspects of supportive care, the second edition expands upon its unique evidence-based, multi-professional approach and global perspective ensured by the international team of editors and contributing authors. It features an entirely new section on the assessment and management of effects of medical treatments as well as a new section on rehabilitation and survivorship. This edition also contains new material on chemotherapy- and radiation therapy-induced emesis, geriatric palliative care, and hormonal therapy and targeted agents. With an emphasis on providing palliative service anywhere in the world, including the need to provide such care in developing nations, the book is an ideal complement to the narrative approach of other texts on the topic. 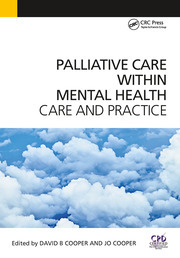 It is essential reading for all palliative care physicians in training and in practice, as well as palliative and support care nurses and other health professionals on the palliative care team. The Population: Who Are the Subjects in Palliative Medicine Research? "…the thoroughness of the text has to be admired. It is an excellent starting point for students of palliative care, which makes an important contribution to any library." 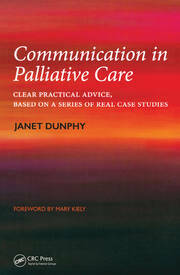 "This is an excellent palliative medicine resource. The special emphasis on global issues makes it unique in the growing market of palliative medicine books. The additional chapters included in the second edition on the different aspects of supportive care are exceptional."